Supermarket chain Price Chopper Supermarkets has recently issued a voluntary product recall on three varieties of their French Cheesecake. The cheesecakes are being recalled because they contain allergens that have not been declared on the products’ packaging. The recalled cheesecakes contain eggs, which are considered a common food allergen. 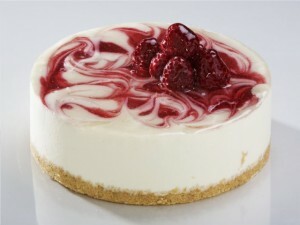 People who are allergic to eggs (in any form) may experience an allergy attack if they consume the cheesecakes. The most common symptoms of an allergic reaction include vomiting, nausea, itching, skin hives, and breathing difficulties. In some instances, allergic reactions can lead to more serious medical emergencies. To date however, no illnesses or allergy attacks have been reported that are linked to the recalled cheesecakes. It is also important to know that these cheesecakes are safe to eat for consumers who are not hypersensitive, or allergic, to eggs. The recall is being made as a safety precaution and to avoid consumers from becoming ill because of the product. These cheesecakes are packed in 24-ounce retail packs and were sold in Price Chopper Supermarkets (in the bakery section) from November 29 to December 20, 2011. Consumers who have bought any of the recalled cheesecakes can return it to any local Price Chopper Supermarket. A refund will be given to those who return a recalled product. For more information about the recall, or the recalled cheesecakes, consumers can visit Price Chopper’s website at pricechopper.com. They can also call at 1-800-666-7667 and press option 3.